Due to unprecedented demand for rock salt across the UK in December 2017, current lead times for this product have now been extended. Please allow an additional 3-5 working days to the stated lead time. We apologise for any inconvenience caused and we are working closely with our suppliers to return to our normal lead times as soon as possible. A low-corrosive de-icer suitable for railway platforms and other corrosion sensitive areas. 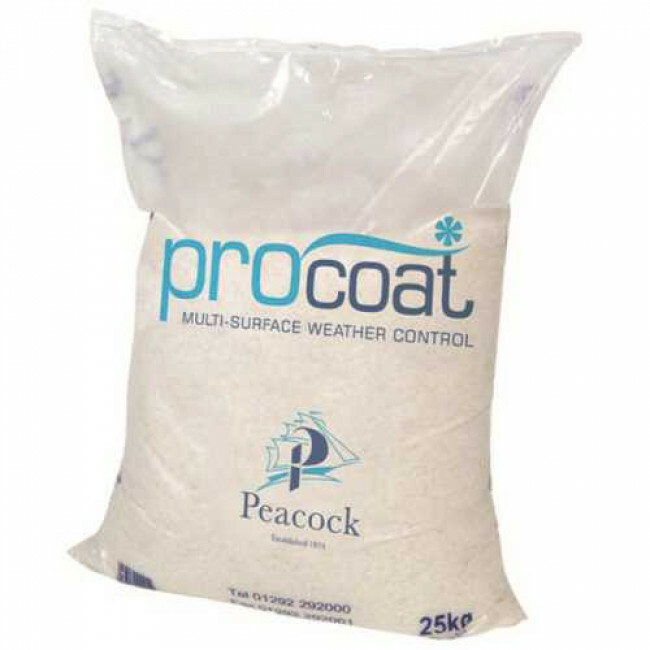 Procoat is a blend of natural corrosion inhibitors combined with marine salt. Procoat is ideal for controlling and clearing snow and ice from paths, car parks, station platforms and roads. Procoat offers a 50% reduction in corrosion than that offered by conventional salts. Supplied in 15 kg bags. Discounts are available on larger quantities.